Many different topics. A lot of different industries. Tips and trick to improve your life. All and everything. The fire pump unit is in fact, the heart of your system. 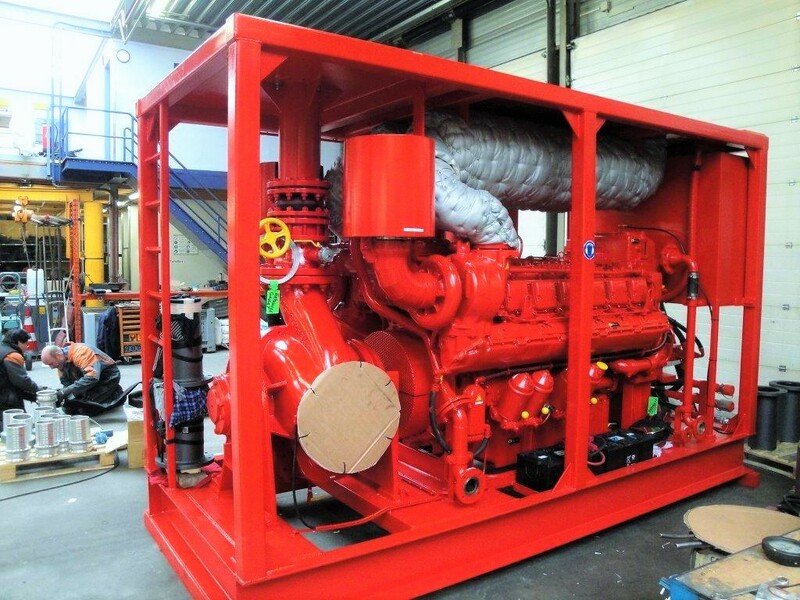 The fire pump is the most important part of your system, and depending on the type of situation you will be able to choose the right type of pump. If your pump can be semi-permanently staged into an operating position, then choosing larger pumps is wiser as they will be able to perform better. In case you need one that will be quickly hauled from its storage location to the water supply, then you need to consider the lighter pumps as they are easily portable. The main role of discharge hose is to deliver the water from the pump to the fire. Usually, their size is 3.81cm in diameter (254cm long) which almost the same as the one used by the fire departments. This type of hose has the power provide a lot of water and since it’s not that big, it can be handled by one person. It is usually constructed from a light and strong synthetic fabric resistant to abrasion. Rigid hoses (the ones used in gardens) are not the smartest option for fire fighting purposes as they are bulky, heavy and prone to failure. Generally speaking, hoses come in 2 types – weeping and non-weeping, wherein weeping hoses are designed to pass moisture through the wall in order to become damp on the exterior. This will surely protect the hose from heat, and will serve to lubricate it for dragging along the ground. The non-weeping ones are dry on the exterior. There are two types of nozzles, stream through which the water exits in a fixed stream (no adjustment is needed), and fog/stream that can be adjusted from stream to fog. The stream ones are great for penetration through a burning surface into the lower layers of a fire and are especially helpful in situations when you wish to kill a fire smouldering inside materials. The fog ones are great for dealing with brush or grass fire. The hose is the part that connects the water supply and he pump. Make sure you choose one with shorter length around 25 and 38cm, but the rule of thumb says that it must have the length in order to go from the pump and extend into the water supply. This is the part that is attached to the end of the suction hose and that can extend into the water supply. It has the power to prevent foreign objects and debris from entering the system as well as to help maintain the water flow into the pump. Ingesting something inside the system could stop the water flow, while the debris could cause malfunction in your pump. What's All the Fuss About Sheepskin Boots? Short Funny Jokes That Will Crack You Up!